"I would rather be an ordinary painter working from life than be the greatest copyist on earth." Although Diego Velazquez's primary position was one of prestigious court painter for Spain's King Philip IV during the Baroque period, he is most celebrated for breaking portraiture and scene painting out of its staid confines. His individualistic style of naturalism, a precursor to realism, favored authenticity over the romantic and differentiated him from others of his time who stayed bound to the traditional and historical ways of depicting their subjects. Vastly personable, and as equally interested in the common man as the lauded man, he managed to create a fiercely individualistic and impressive body of work that belied his underlying passion for the human being and human experience. He remains one of the most important artists of the Spanish Golden Age. Although he was paid to create work for royalty, Velazquez maintained an extreme commitment to also depict everyday people and scenes. He managed to quell the external influences of popular opinion, which deemed this work wasteful or meaningless, by creating pieces so compelling they could not escape interest. Velazquez's intensely direct style of painting truth was photorealistic in nature and far ahead of its time. He infused various techniques toward accurately depicting detail and its many nuances including free, loose brushstrokes, the utilization of gradients of light, color, and form, and an eye for detail that was unsurpassed by his peers. This style would become an early forebear to both Realism and Impressionism. Velazquez was a master of the use of chiaroscuro, or, the treatment of light and shadow in a painting to create high contrast. He utilized this technique to highlight points of particular importance to the viewer and to set an overall atmospheric perspective. Composition was a strategic tool for Velazquez in motivating the viewer to experience his work as it was intended. To this end, he often used diagonal structures, complex focal points, and separate planes to manipulate the eye toward what was most important, or to spur a deeper understanding of the picture. Velazquez's masterpiece Las Meninas (The Ladies in Waiting), has become one of the most analyzed works in Western painting. By placing a rendition of himself as artist into an intensely private scene with his royal subjects, he remarked not only upon the position of the painter as one who is allowed to glimpse moments of intimacy that viewers would not ordinarily be privy to, but to then authentically portray them armed with the artist's signature tools and techniques of the trade. It is a great testament to the role of the painter. 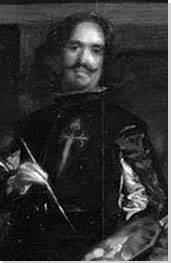 Diego Rodriguez de Silva y Velazquez was the first of six children born to Juan Rodriguez and Jeronima Velazquez in Seville, Spain. He received fine training in religion, languages, and philosophy from his parents. His father recognized his son's early talent in drawing when his copybooks always turned into sketchbooks and arranged an apprenticeship for Velazquez to study with Francisco de Herrera the Elder. 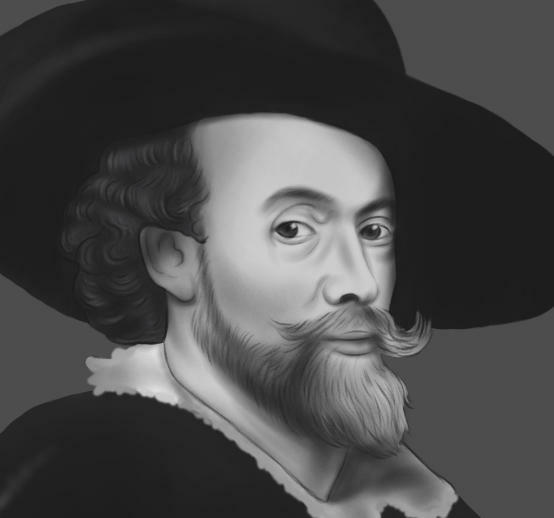 The master painter was considered to be the creator of the Spaniards' national style. 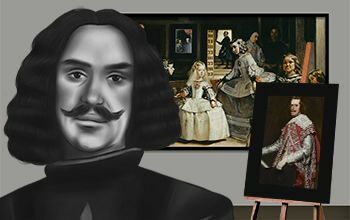 Interactive chart with Diego Velazquez's main influences, and the people and ideas that the artist influenced in turn. First published on 09 Feb 2018. Updated and modified regularly.